Hi Barry, thanks for your kind words. 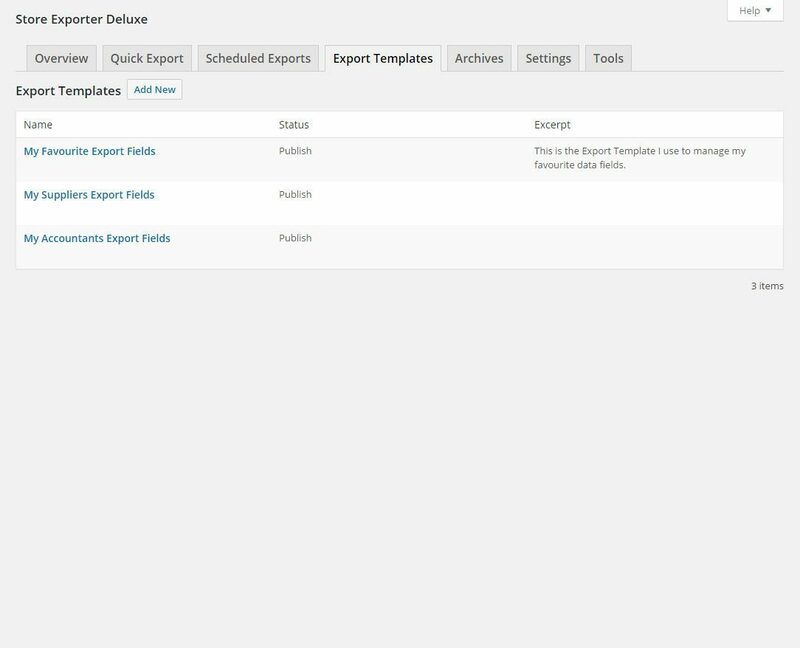 Having that other Plugin injecting blank line breaks into all pages corrupted XLS and XLSX exports on the Quick Export screen. If that hadn’t happened you would have been fine! 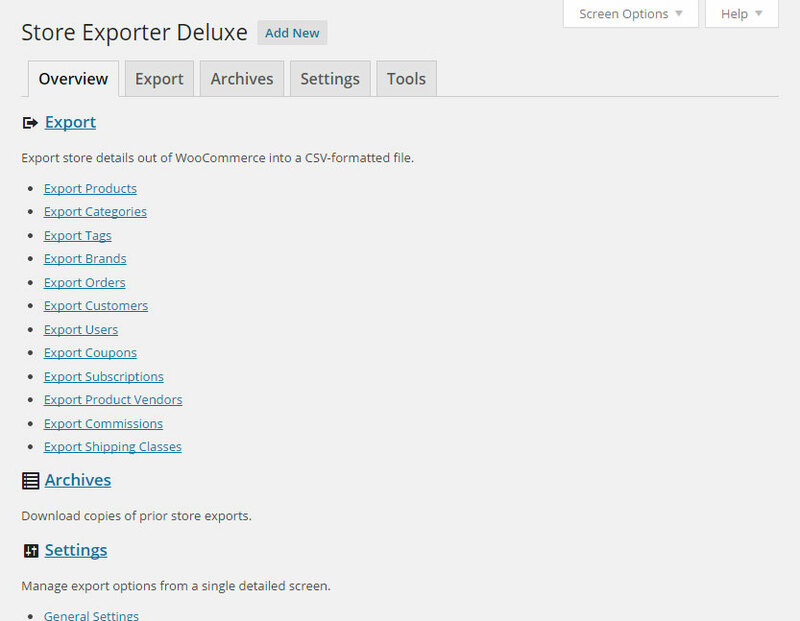 The best WooCommerce export plugin, hands down. 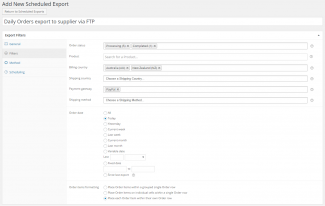 We’ve used several of them, and this is the only one that does everything we need, specifically robust support for the Extra Product Options plugin. 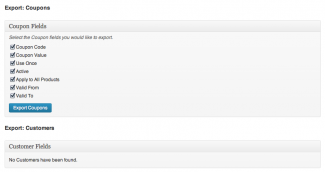 Support is fast, thorough and friendly. Highly recommended. Then, all I can say is that the Store Exporter Deluxe as well as the Product Importer Deluxe are awesome. 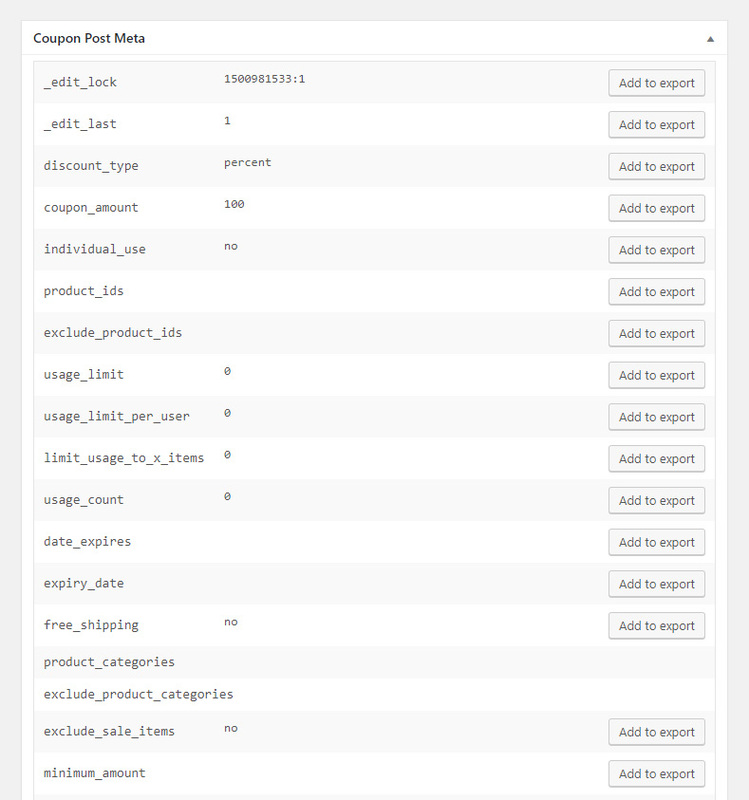 I have used during 3 years other plugins (the Woocommerce ones), and switched to those a couple of days ago – they are just great, categories and pictures are seamlessly exported and imported (not the case of the other plugins, when it comes to large stores, believe me). 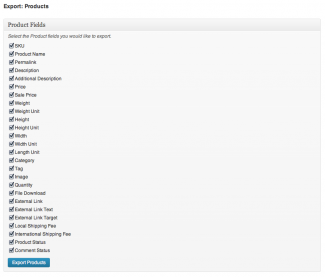 I would have saved weeks of work if I had used these plugins since I started to work with Woocommerce! 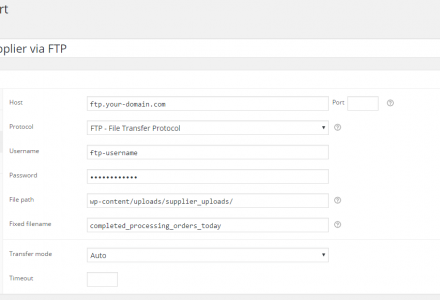 Very good plugin. It’s doing what we want. 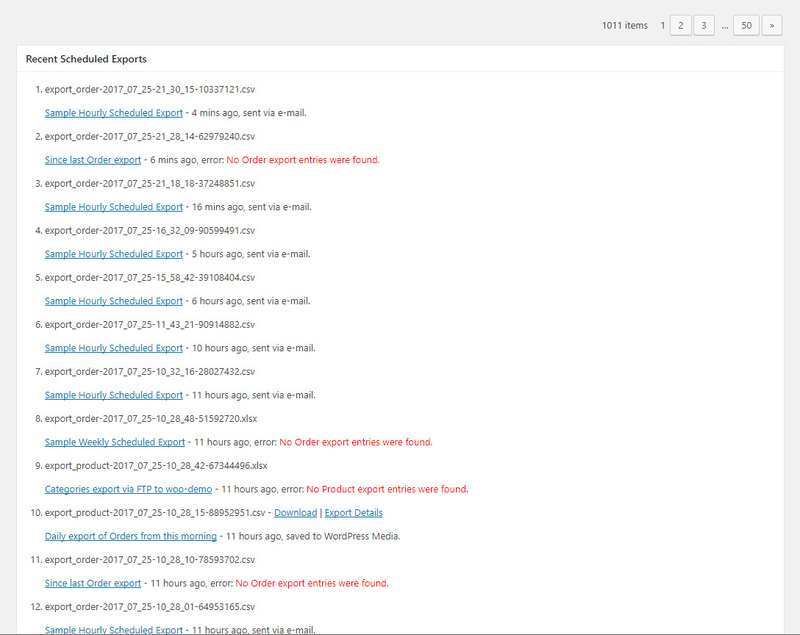 And very good support : reactive and competent. Thanks! 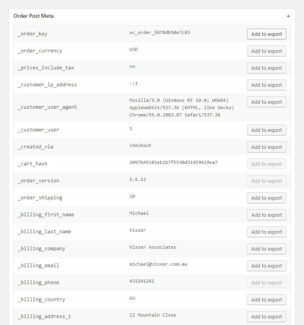 is it possible to export the list of all the products sold? 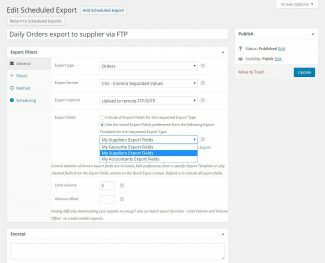 Hi Oria, thanks for asking, we support exporting the Total Sales field as stored against Products in your per-row format, we don’t offer a cumulative Sales Amount which adds up the Order Item totals for that Product but it could be added via WordPress Filters. 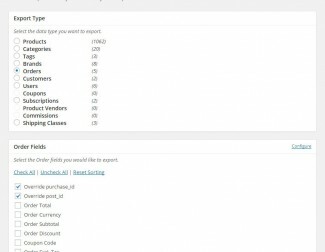 I’d like to suggest support for exporting YITH WooCommerce Product Add-ons groups and options. 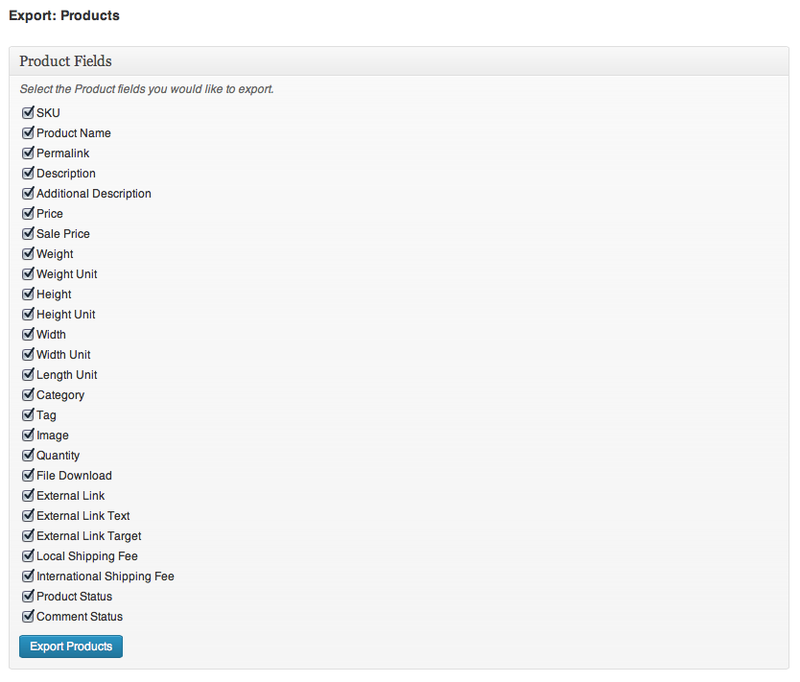 I am currently using the premium version to add options and upcharges to my products and it works great for that. 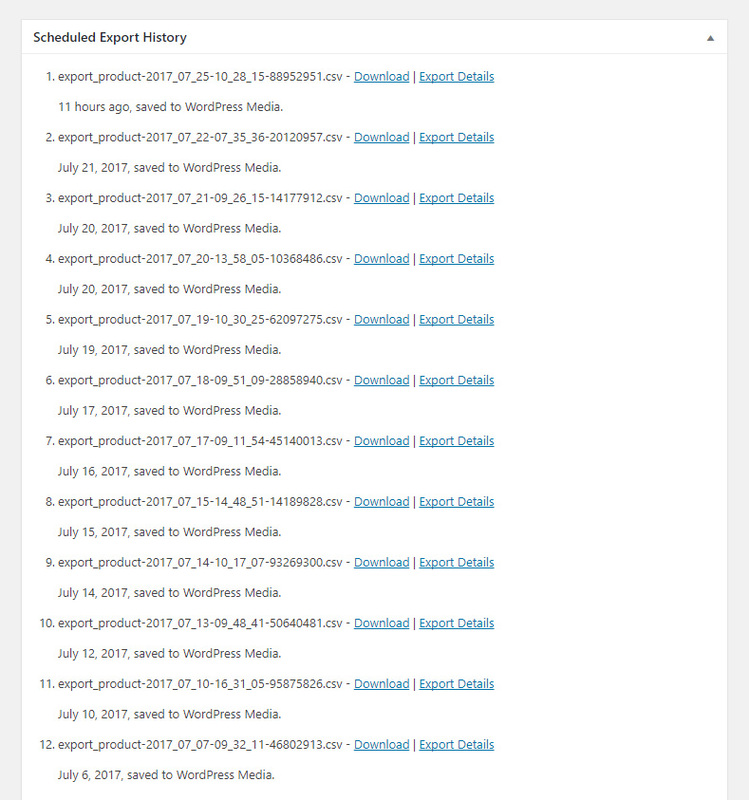 I currently have over 80 different add-on groups, so being able to export the records to a spreadsheet would definitely make it easier to document and manage them! 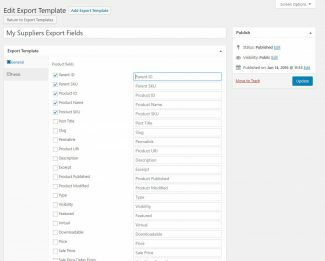 is it possible to export product attributes per country? 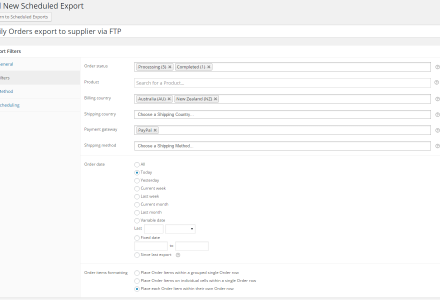 We have different prices and languages according to the shipping country. We handle this by sub-domains. I would expect that every sub is managed like a new store? 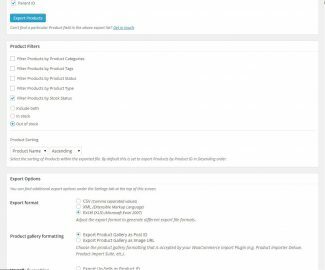 Hi Shack, thanks for asking, to clarify are you wanting to filter Products or Orders? 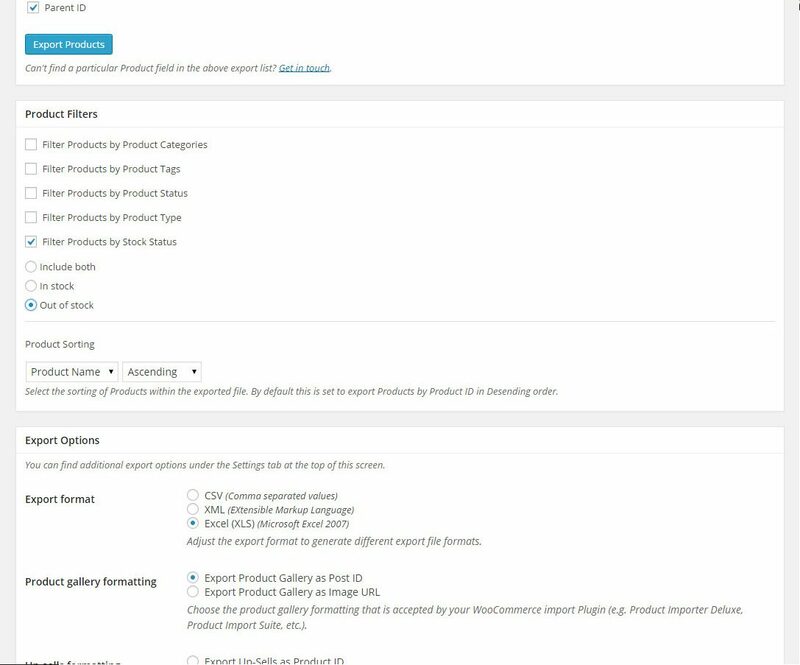 I’m confused as Shipping Country is not by default linked to Product Attributes. 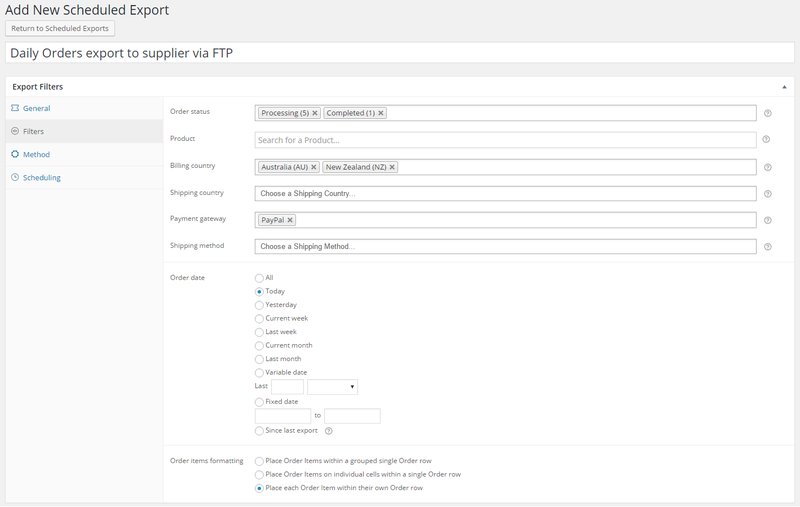 You can filter Orders by Shipping Country. 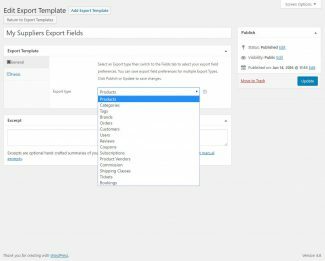 Are you using WordPress Multisite for managing multiple stores on sub-domains or separate WordPress installs? 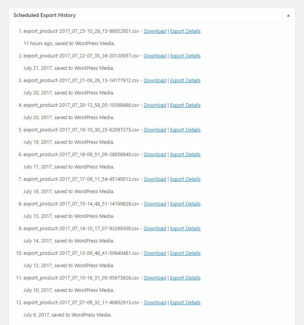 is it possible to see an example Excel file? Perfect! Thx, that helps a lot. 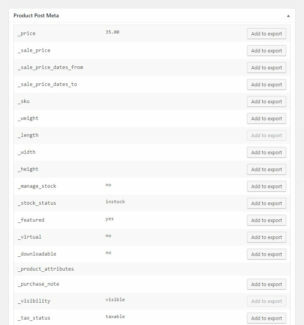 I would like to know if this plugin supports the extension WooCommerce Mix and Match Products and how does it handle the SKU data? 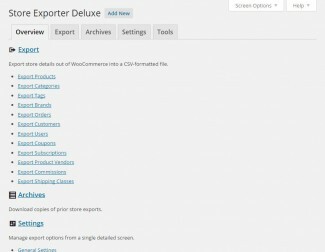 Hi, I’m interested in your Store Exporter Deluxe plugin, is it possible to setting up the output with own nested tags. Target is to get something like below. 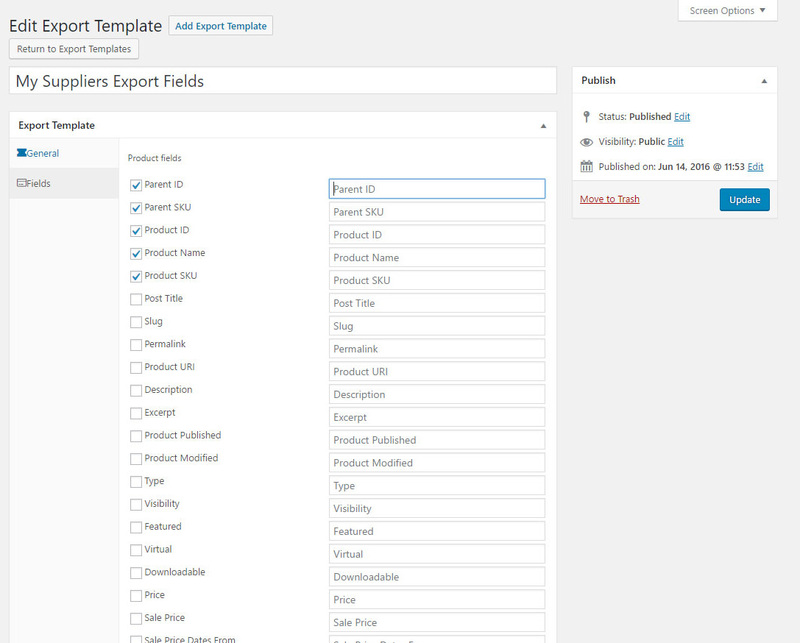 For example the Customer name in a sub field. 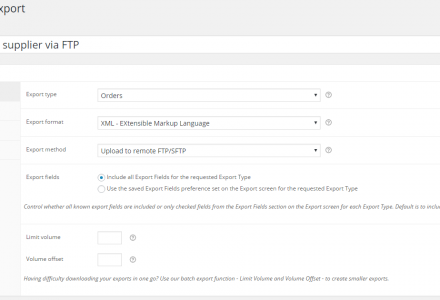 I’m interested in your Store Exporter Deluxe, but is it possible to build an export with nested tags? 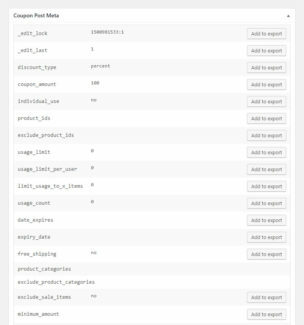 Your plugin sounds awesome, unfortunately in between all the bells and whistles I don’t seem to be able to find a simple answer. 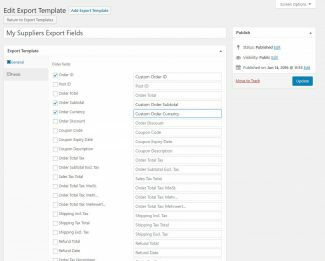 Can i export my entire store, products, users, orders etc and import into another wordpress site? 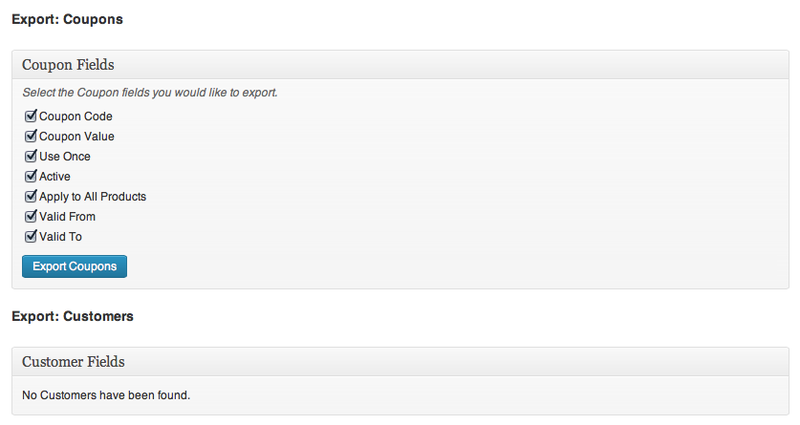 Hi Chev, we export the works but are limited to importing Product details at this time. 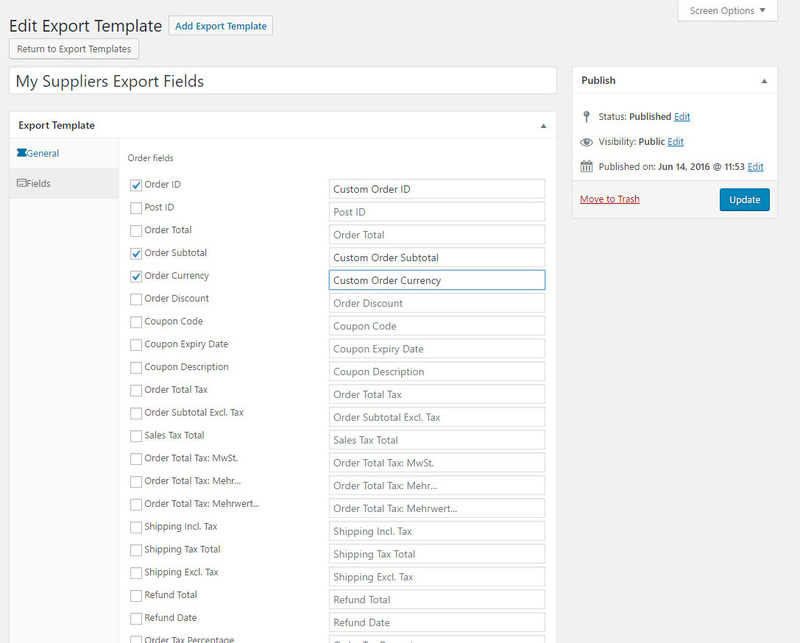 – With latest version, it seems possible to re-order columns for export template? 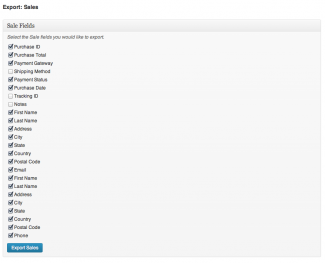 – Can one rename column headers? 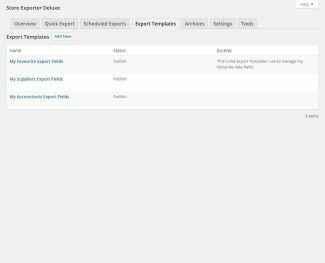 – Can one add empty columns? 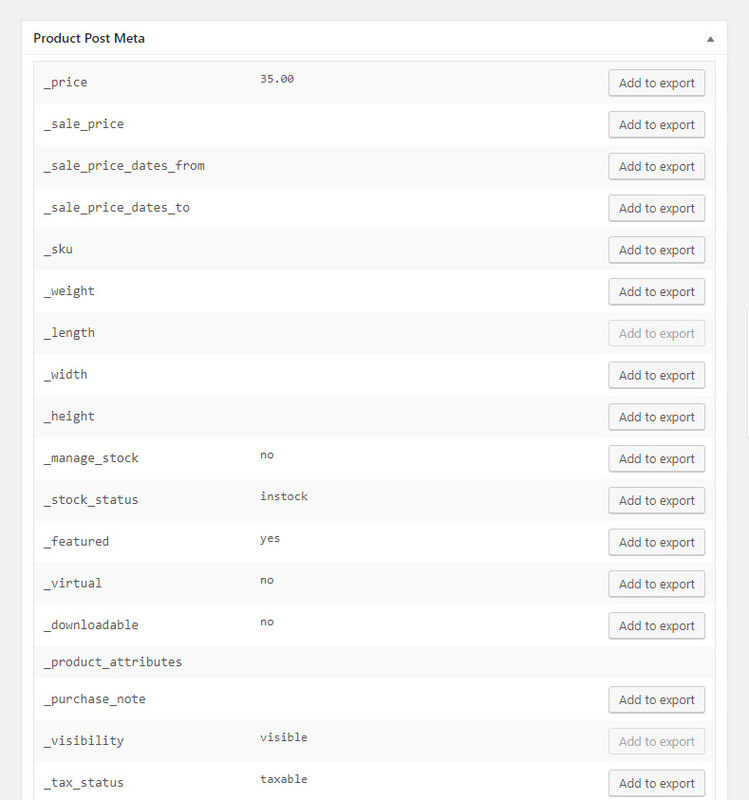 For example, the file has a few columns with headers, but we don’t use these. Still, they need to be in the CSV, as the warehouse needs this format. 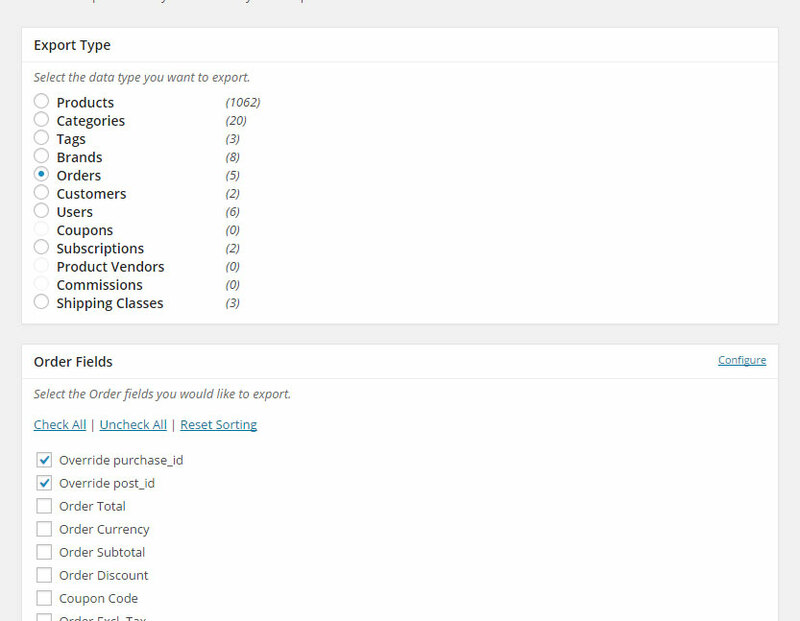 – The warehouse uses the Alpha2(ISO) list for country codes (http://www.worldatlas.com/aatlas/ctycodes.htm), but instead of GB they use UK for the United Kingdom, is there any way to filter this in the export? 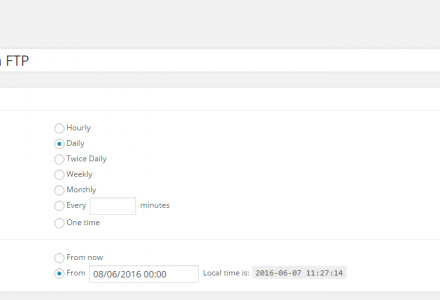 – CSV file needs to be in “MS-DOS” format instead of “Comma delimited”, is this possible? 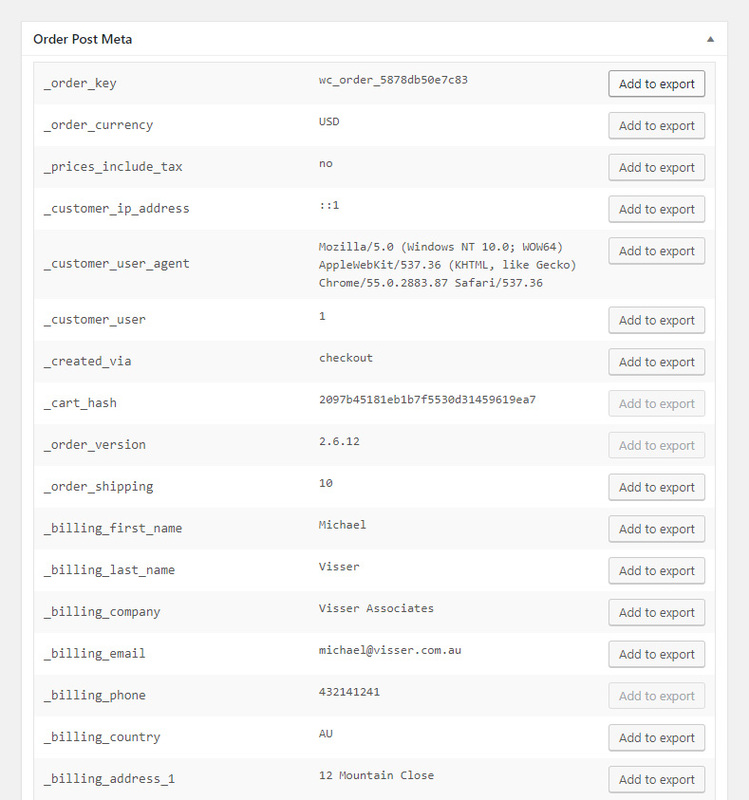 Other stuff, like each item per order on a new line, seems to be included, which is great. 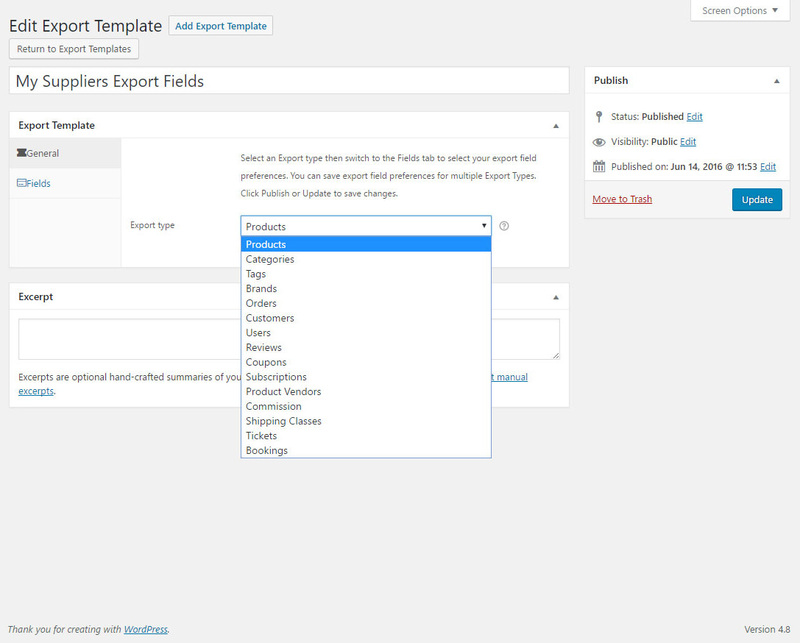 As well as adding in potential fields from other plugins such as Advanced Custom Fields. 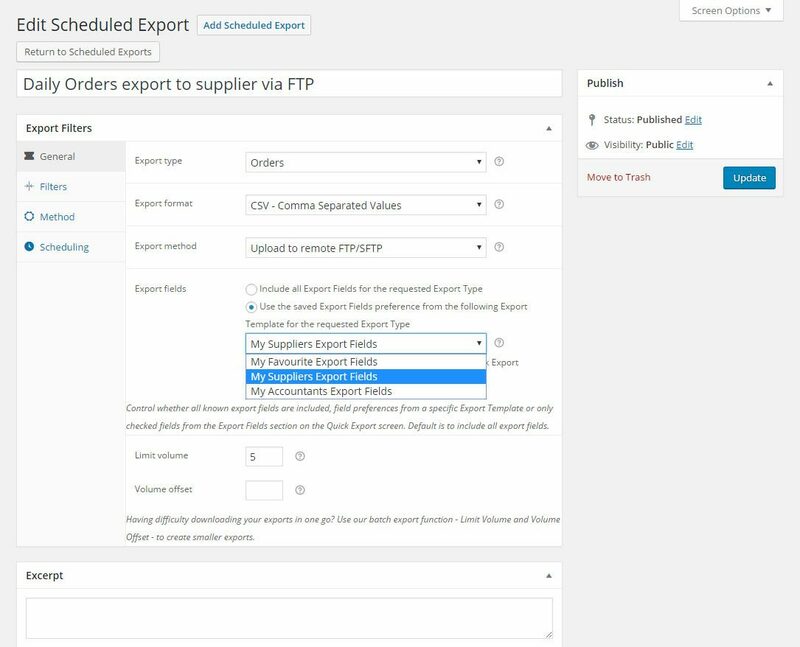 If possible, it’d be great to be able to send you a copy of the CSV file we need to send to the warehouse, if you could take a quick look whether it’s possible to use your plugin for such an export. Hi Michael, many thanks for your quick and thorough reply, appreciated. From what you say, it seems this should cover most of our requirements, which is great. Can definitely understand you not having time to look at file, have to prioritise. 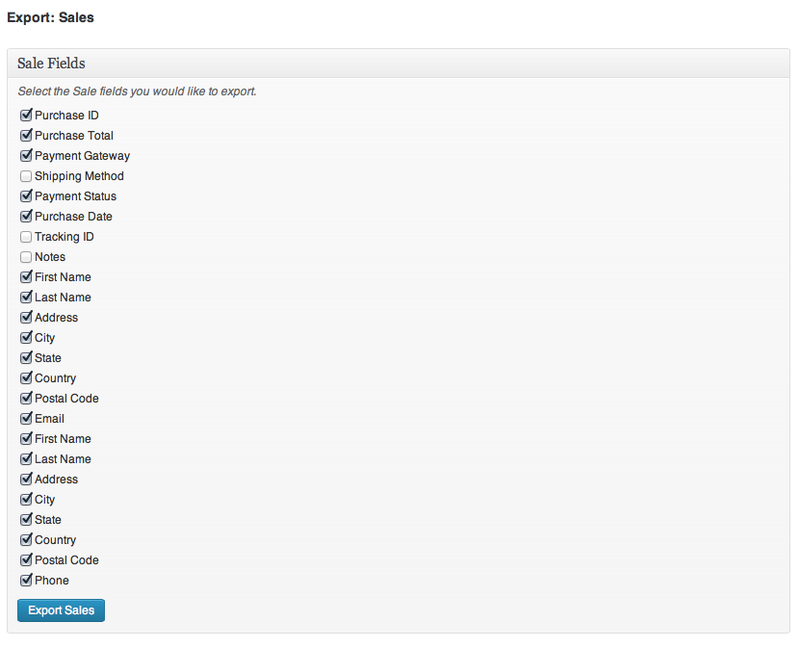 Look forward to getting started with the plugin! Greetings from sunny Berlin. After update to new version 2.1.5, when I export and make file in Excel (XLSX) (Excel 2007-2013) format, I can’t open file due to file damaged error??? When I re-install old version, all is fine again! 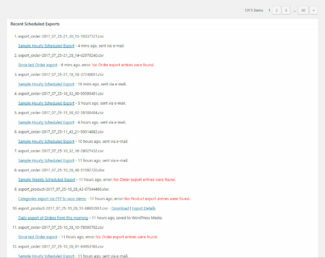 Hi zis, open up a Support ticket with us, that’s likely due to a PHP notice/warning/error coming through as part of the export and corrupting the export file.